One of the great things about bicycling is that it is an activity that people of all ages can partake in– adults, teens, seniors, and even the kids! While it may seem daunting to cycle with a child or two, it is possible. Here are some tips for cycling long distances with kids! Finding a Kid-Friendly Route: Whether the child is cycling on their own, or sitting passenger on your bike, it is critical to have a child friendly route. Children are unpredictable, often they don’t have ability to keep balance as well as an adult and they may not be as aware of surroundings. 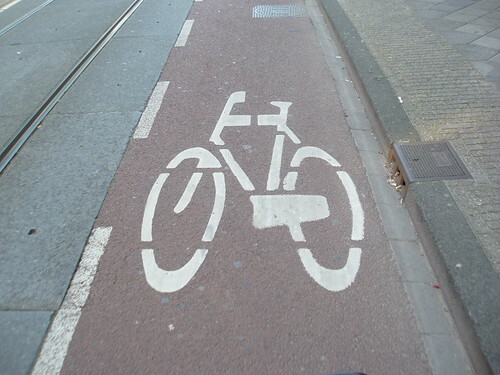 For these reasons it should be advised to pick bike paths. Kid friendly route also means avoiding massive hills and thankfully 511 Contra Costa has an excellent bike route mapping tool that helps you find flat routes. Anticipate Making Stops:A child may drop something, need a sip of water, a snack, or simply get tired. Riding with a kid shouldn’t be a rushed activity, this makes the trip less safe, and less fun. Teach Proper Hand-Signals and Etiquette: If your child will be cycling on their own bike, be sure they know basic bicycling safety skills like looking both ways at intersections and signaling. Hand-signaling is important for bicycle commuting and the importance extends to travel with children. It makes your movement more predictable, creating a safer and more pleasant environment for all. If you are uncertain of what to teach your child, check out the DMV rules that apply to bicyclists. 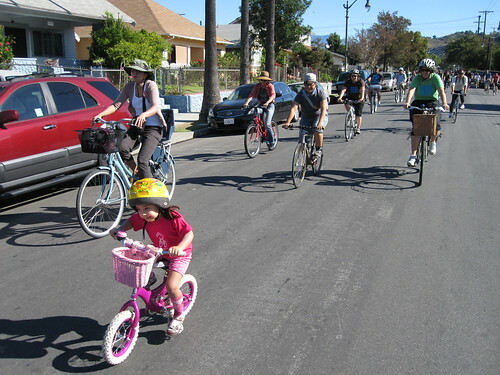 Find Resources: Read about experiences of other bicycling families, some popular blogs about life bicycling with kids include: Mama Fiets, Family Ride, Car Free With Kids, and Girls and Bicycles. Looking at the experience of others can simultaneously inform and inspire you to go on bicycling adventures with children. Go For a Ride and Have Fun: One can only prepare so much but there is no substitute for actually going for a ride. Be confident in the child’s ability to cycle a particular distance if they will be on their own bike before taking the plunge, but most of all– make it fun! And don't forget about the free family cycling workshops and kids bike rodeos hosted throughout the year by the East Bay Bicycle Coalition. The class schedule, testimonials, videos, and applications for new class requests can be found online at http://www.ebbc.org/safety.